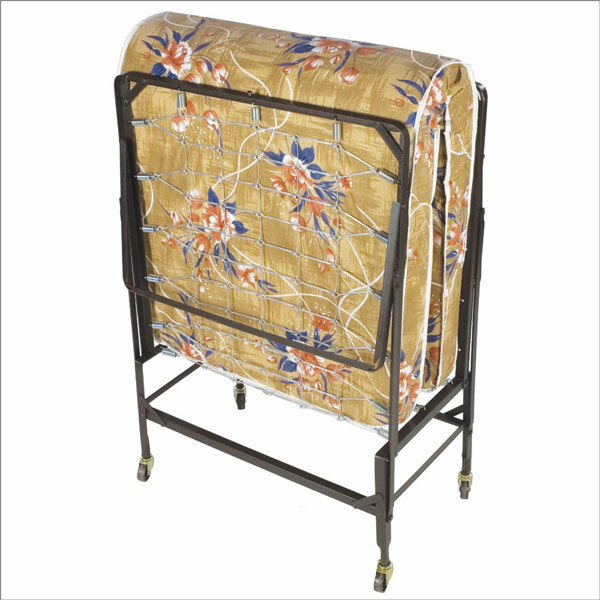 Cot size measuring approximately 30 inches x 75 inches. Zinc coared helical springs for durability. Ball bearing EZ glide 2" casters. Perfect for the occassional overnight guest. 4 1/2 inch layered polyester mattress. Please note the mattress fabric color may vary from the photo. Complete ready to use cot size rollaway bed with mattress.